Some are from people who are sincerely curious and want to understand the nuance of our company and our offerings. But sometimes, the questions are laced with defensiveness and followed by discomfort at not having their own experiences centered in our work. It seems to trigger that somehow focusing on women of color dismisses their own need for support. To those in the second camp, let me say I see you. You are absolutely right. We all need access to networks and support to help us rise and develop as leaders. However, the reality is that numerous research demonstrates that women of color face the greatest obstacles and receive the least support. That is why Culture Shift Agency centers its work with this population in order to achieve equity for all. Inequality starts at the very first promotion. This is even more dramatic for women of color. Women remain significantly underrepresented in the corporate pipeline. From the outset, fewer women than men are hired at the entry level, despite women being 57 percent of recent college graduates. At every subsequent step, the representation of women further declines, and women of color face an even steeper drop-off at senior levels. Women of color, particularly black women, face even greater challenges. The intersection of race and gender shape women’s experiences in meaningful ways. Women of color face more obstacles and a steeper path to leadership, from receiving less support from managers to getting promoted more slowly. From my own lived experience and from those of the hundreds of women I’ve met as clients, colleagues, and friends in the past two decades, I can tell you that the research outlined in this post and on the organizational services page of Culture Shift Agency is unequivocally true. Sadly, I honestly, cannot think of one woman of color I’ve ever met who has not had some iteration of this research show up in her professional life. Women of color in leadership roles often experience triple jeopardy because of the multiple stereotypes associated with gender, race, and ethnicity that we trigger in others. This intersectionality results in thicker barriers to advancement. While women in general, and white women specifically, experience a glass ceiling, women of color experience a concrete wall. Navigating this complexity can be incredibly draining, taking a toll on our physical, emotional, and spiritual well-being. I’ve often heard women tell stories of needing to “armor up” or “put on their game face” in order to be able to fit in at work. But this process of “fitting in” comes at a cost, not only to their individual wellness but also to the company or organization that they work for. Numerous studies demonstrate the clear benefits that diversity has on financial performance of a company, let alone the innovation that emerges from having a wide-range of unique perspectives at the table. If women of color are forced to “fit in” we increase the possibility of losing their particular viewpoint and distinct leadership that positively benefits an organization’s services and bottom-line. Our country is at a critical juncture. Racial tensions can be found at all levels of society and unfortunately, the walls of the workplace are no exception. There is a larger context for this work. One only has to tune in to the evening news or presidential tweets to explore questions of who belongs? who is viewed as other? and who should/should not have access to leadership within the institutions that make this country great? The root cause of the dearth of women of color in leadership positions is structural and systemic. However, our solutions MUST BE BOTH STRUCTURAL AND INDIVIDUAL, operating on these two rails is the only thing that will move us forward. What experience will women of color have once they are in our workplace? What can we do as an organization to upend the historical legacy of inclusion/exclusion to spark structural and individual transformation? Are we willing to invest (people, money, time) in this transformation? Each of these questions must be addressed in order to create inclusive and equitable environments in the workplace, and dare I say, the world. It is critical that we forego our well-intentioned yet misguided one-size-fits-all pedagogy to leadership development and instead opt for culturally-competent programming that organizes itself around the unique needs and brilliance of women of color that can be leveraged for greater impact. To do otherwise is to risk missing out on the significant value, innovation, and resilience that we bring to the table as team members and as leaders. Culture Shift Agency is a research-based coaching and consulting firm that utilizes an innovative personal transformation pedagogy to advance the leadership capacity of women of color. 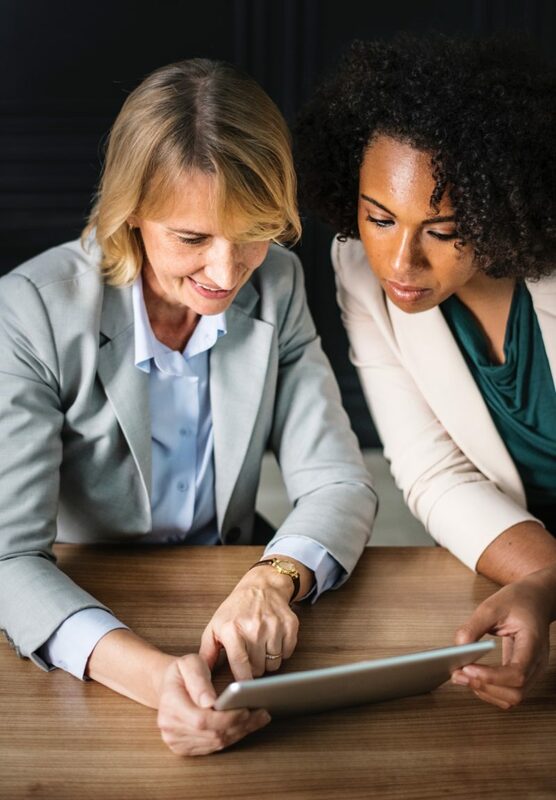 Combined with 80+ years of coaching and facilitation expertise in both the nonprofit and corporate sectors, our team is uniquely equipped to support the holistic leadership development of women that catalyzes and supports strong organizational culture.